We think SEED will become a standard resource for people working in corporate law and corporate governance. 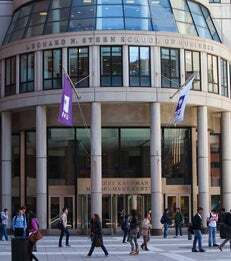 The NYU Pollack Center for Law & Business and Cornerstone Research announce the launch of the Securities Enforcement Empirical Database (SEED), located at seed.law.nyu.edu. SEED tracks and records information for U.S. Securities and Exchange Commission (SEC) enforcement actions against public companies. With data on SEC actions filed since October 1, 2009, SEED offers unprecedented insight into multiyear trends and priorities in federal securities enforcement. The SEC’s announcement last week of its enforcement actions for fiscal year 2015 highlights the role of administrative proceedings. Of the 675 SEC actions in 2015 that did not involve delinquent filings, 168 (or about 25%) were follow-on administrative proceedings involving individual bars. The SEC did not identify how many of the 507 independent actions for violations of the federal securities laws were filed as administrative proceedings. 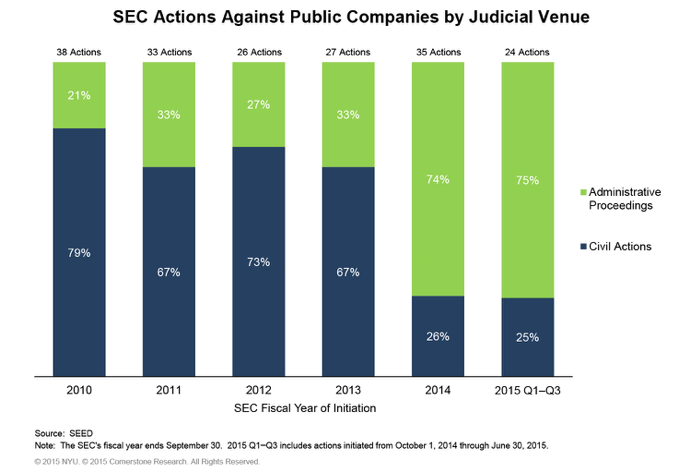 Research by SEED finds that the SEC filed 75% of its actions against public companies in the first three quarters of fiscal year 2015 as administrative proceedings (see chart). Student fellows from the Pollack Center gather enforcement documents from the SEC website, regularly updating SEED’s information on new enforcement action filings and settlements. A portion of Securities Enforcement Empirical Database (SEED) is available to the general public, and a more extensive version will be available for academic scholars. There is no charge for access to either version of the database. For information about academic access to SEED, please contact law.seed@nyu.edu.